Will Corwin, Sylvia and Marcello in the Fontana di Trevi, 2015, 6 min. 16 sec. I liken this project to those old experiments (mostly theoretical and rarely put into practice) which postulated what language a child would speak first if kept deprived of language while growing up—the general consensus being reached that it would be either Hebrew, Greek, or Latin. Similarly, if left to their own devices, what would two artists, or a larger group of artists collaborate on if they were given carte blanche: without requirements to produce something archival or of having to organize an exhibition, song, or essay. For La Dolce Vita nine artists and four artist collectives (for a total of twenty artists) were invited to collaborate, conversate, or do whatever they’d like to do together, and I filmed it. 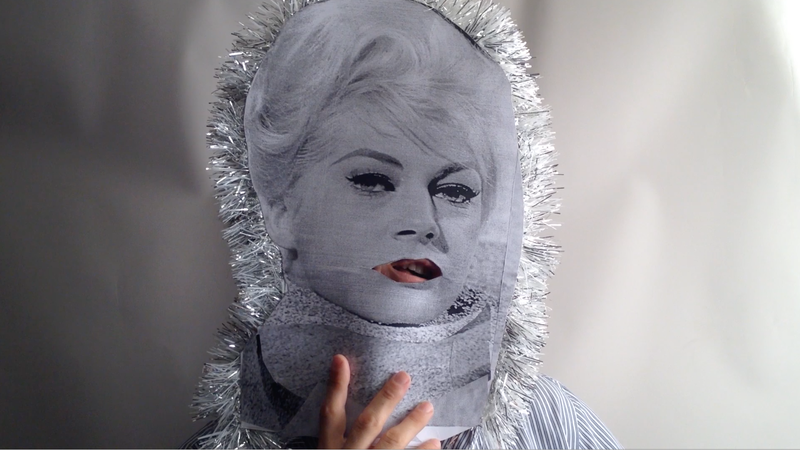 The regulating geometry imposed on these video clips is based on the sequence of events in the movie La Dolce Vita (1961, directed by Federico Fellini). It struck a chord as a good fit for the project that was partly inspired by Joyce Pensato’s obsession with Fellini’s film and the actress Anita Ekberg. It is one of my favorite films as well, and to a certain degree I relate to the main character, Marcello (played by Marcello Mastroianni), the journalist. He meanders through a series of bizarre and momentous events over a couple of days in Rome, and I found this similar to stopping by shows, talking to artists, and seeing what projects they were involved with in the cultural nexus of New York, though the artist’s in this issue of artcore journal are from all over the country. The similarities between the scenes in the movie and the collaboratory videos are tenuous at best, but its nice to have something to relate the project to. Additionally, the range of subtle and coincidental connections between the artists, aside from my direct acquaintance with them, is similar to the stream of loosely connected scenes, symbols, and characters in Fellini’s wonderful film. William Corwin is a sculptor from New York. His work has been exhibited at the Clocktower Gallery and the LaMama Gallery in NYC, The George and Jørgen Gallery in London, the Frise Kunstlerhaus in Hamburg, and most recently at the Puccs Contemporary Art and Müszi Culture Center in Budapest. 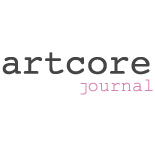 artcore jounal: La Dolce Vita is one of a constellation of related projects this fall, including a lengthy interview with Archeologist Colin Renfrew in Art Papers Magazine (November 2015) and two curated exhibitions in New York City: Cyborg at Zürcher Studio and Devotion at Catinca Tabacaru Gallery. Corwin also writes regularly for Frieze Magazine, The Brooklyn Rail, and ArtCritical, occasionally for BOMB, and has had a monthly radio program since 2009, “The Interview Show,” on Clocktower Radio.